Dr. Kate Bain, OT, C/NDT, received a Diploma of OT at Lincoln Institute in Melbourne, and a Bachelor of Applied Science (OT) at Curtin University in Perth, Australia. She graduated as a Doctor of Health Science at Sydney University in March, 2012, and is an Adjunct Senior Lecturer at Southern Cross University. Her research project explored the impact of NDT on the performance of daily living tasks in children with cerebral palsy. She is certified in SiPT, and in Neuro-Developmental Treatment (USA), and completed further studies in the USA to become an NDTA Paediatric OT Instructor in 1998. She is the co-founder of both Children’s Therapy Services and the Kids+ Foundation in Geelong, Victoria, and is the Director of Paediatric Therapy & Workshops, which includes postgraduate education, clinical intensives, and research. Her enthusiasm lies in combining these roles – in Australia and internationally – towards families and children achieving their functional goals through playful intervention. Jane L. Styer-Acevedo, PT, is the recipient of the Pennsylvania Physical Therapy Association 2000 Carlin-Michels Achievement Award for her contribution in patient care, education, research, and community service. 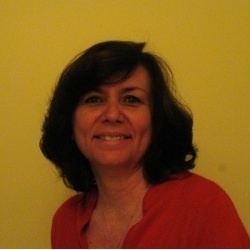 She has been adjunct faculty with Arcadia University since 1991, teaching within the pediatric content area. Jane is recognized as a master clinician and as such pursues a clinical practice in the water, works in early intervention in both urban and suburban areas, consults with individuals and facilities, and travels to teach. 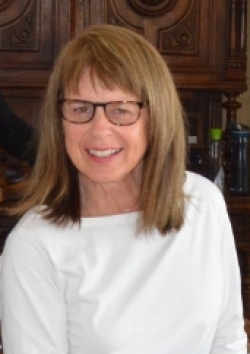 Since 1983, Jane has taught over 210 courses of varying lengths from 1 day to 8 weeks and has traveled nationally and internationally, including the United States, Europe, Australia and Mexico. She teaches a large variety of topics with emphases in pediatrics as well as clients throughout the life span with neurologic and/or orthopedic impairments. Jane is a Pediatric Coordinator-Instructor in Neuro-Developmental Treatment as recognized by the Neuro-Developmental Treatment Association, Inc. and the Instructors’ Group of the NDTA, Inc. As such, she organizes and teaches the pediatric certification courses for children with neurological impairments. She also teaches shorter, introductory courses and multiple specialty topics, both “land based” and “water based” courses. One of her strengths lies in the problem-based approach to treatment with a very strong background in a variety of water treatment approaches. She is also excellent in integrating aquatic and land based intervention for all phases of intervention from the acute phase, through rehabilitation, and community entry or re-entry towards life long health and fitness. Jane is certified in Halliwick I and II and has assisted the Senior Lecturer of the International Halliwick Association, Johan Lambeck from the Netherlands. 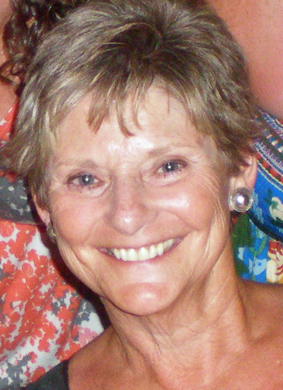 She is trained in the approaches known as Watsu®, specifically for the client with rehabilitation concerns; Bad Ragaz Ring Method; task-type training method; trunk stabilization techniques; and techniques for children with sensory integration dysfunction and children with autistic spectrum disorders. In teaching therapeutic aquatics, Jane teaches a combination of techniques which are useful to clients in the water as opposed to sharing a “recipe or program” for persons with particular diagnoses. She feels this is an invaluable tool when treating clients towards successful achievement of identified functional outcomes after completing their specific examination and evaluation. Lezlie Adler is an internationally recognized and respected clinician, educator, and consultant with extensive and broad experience in medical, educational, and community based settings. She has extensive, highly respected skills in leadership, team building, mentorship, and re-engineering of service provision in interdisciplinary therapeutic sites. Her key areas of expertise include: clinical intervention, family and professional education, program development and execution, product development, documentation, training material development and distribution. Lezlie is a nationally (USA) recognized educator with over 300 workshops presented to occupational, physical, and speech pathologists, educators, physicians, and psychologists in North and South America, Europe, Asia, New Zealand and Australia. Topics include practical applications of therapeutic frameworks for intervention, functional performance in academic, home, and community settings, technology and adaptive equipment, family, educational, and medically based program planning and documentation. Click here to download details of workshops that Lezlie presents. Monica Wojcik, M.A., CCC-SLP is a certified speech instructor in Neuro-Developmental Treatment (NDT). She specializes in the assessment and treatment of oral-motor, feeding and respiratory-phonation problems in infants and children with neuromotor disorders. She presents with a wide varied clinical experience in rehabilitation centers, NICU in hospitals and preschool therapy centers for infants and young children. Ms. Wojcik has a private practice in Plantation, FL. In addition to presenting short courses and workshops, Ms. Wojcik teaches Graduate level courses at Nova University. She is presently on the adjunct faculty of Nova University Graduate Program. Dr. Chris Chapparo is senior lecturer in the School of Occupation and Leisure Sciences, The University of Sydney. Her research and teaching focuses on children with learning disabilities, assessment and intervention effects. 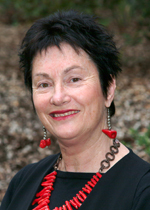 Her most recent research work has been with colleagues in the development and clinical trials of the Perceive, Recall, Plan and Perform (PRPP) System of Task Analysis, and the development of the Occupational Performance Model (Australia). These works have now been translated into Swedish, German, French, Norwegian, and Thai and are used internationally. She has received numerous awards for teaching and research, the most recent of which is the University of Sydney Vice Chancellor’s Award for Outstanding Teaching. Dr. Chapparo’s current research work centers around the link between social competence, information processing and occupational performance. Audrey Yasukawa is currently Chief of Occupational Therapy at LaRabida Children’s Hospital in Chicago. She has a Master’s of Occupational Therapy from Western Michigan University and a Bachelor of Science degree in Special Education from Northern Illinois University. She previously served as a clinical resource to staff throughout the system of care at the Rehabilitation Institute of Chicago and worked in the pediatric program. She is pediatric and adult NDT trained, has over 30 years experience with upper extremity casting and has taught pediatric and adult taping and casting courses nationally. She is a certified Kinesio Taping Instructor. 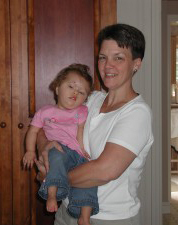 In addition to numerous workshops and lectures given throughout the United States, Audrey has authored many publications, including "Kinesio® Taping in Pediatrics, Fundamentals and Whole Body Taping", “Casting Protocols for the Upper and Lower Extremities”, “Casting to Improve Upper Extremity Function”, and “Upper Extremity Casting: Adjunct Treatment for the Child with Cerebral Palsy”.